Every year around 9/11, Facebook and other mediums are filled with flags and images from that tragic day and calls to “NEVER FORGET,” as is proper. The day should never be forgotten. 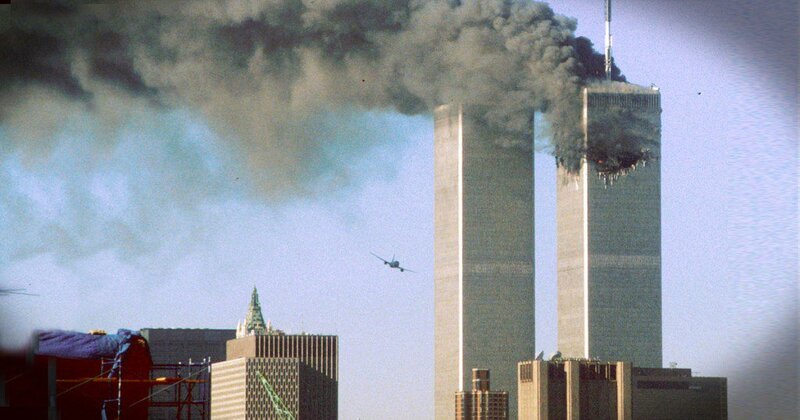 Terrorists flew planes into the World Trade Center and the Pentagon. On one plane, passengers fought back in a suicide mission and succeeded in saving another target and lives. Thousands died. Maybe that’s enough to know, but I don’t think so. Just for record; I’m not a conspiracy theorist. I don’t believe now, or ever, that our government had anything to do with the attacks on 9/11. I’m not a truther, as a bulbous and dense Forum Communication blogger concluded and published after zero research. Skipping the investigation part is a big time saver and if lying isn’t a blotch on ones ones record like it used to be, less scrupulous types will make things up more often. Not a healthy trend. My contention has always been that general incompetence, compounded with the unwillingness (perhaps laziness) to learn the basics of a job, mostly on the part of the president, made any of the four terrorist acts less likely to be thwarted before, or during, the 102 minutes. But it’s been 15 years since 9/11, and the day will always be an important date in American history, and some things bear repeating, especially facts that were obscure within days, but shouldn’t have been. Plus, most people born in the early ’90s, or later, have no specific memories of that day. I’ll write about one fact at a time, in no particular order or importance. This one is pretty important, to my mind. Number 1: Did you know this? Evidently, the upper echelon of our government was willing to accept a hijacking, since there is no evidence that any measures were taken to stop a predicted hijacking. Why did they do nothing? For those who may not recall, Condoleezza “Condi” Rice was George W. Bush’s National Security adviser on 9/11. “It mentioned hijacking, but hijacking in the traditional sense, and in a sense, said that the most important and most likely thing was that they would take over an airliner, holding passengers and demand the release of one of their operatives.” — DR. RICE, TALKING ABOUT THE PRESIDENT’S AUGUST 6, 2001 DAILY BRIEF. “I think it’s a little strong to actually call it intelligence — the interpretation that was there that these were people who might try hijacking.” — CONDI RICE, SPEAKING OF THE AUGUST 6, 2001 PDB. “All of this reporting about hijacking was about traditional hijacking. You take a plane — people were worried they might blow one up, but they were mostly worried that they might try to take a plane and use it for release of the blind sheikh or some of their own people.” — CONDI RICE, PRESS BRIEFING MAY 16, 2002. And Secretary of Defense Rumsfeld was irritated that the hijackers didn’t follow proper protocol. Stupid terrorists! They never do anything right. The actual facts of history are very important to know. Thank you for doing the research needed to clarify it Ron.